Learning to drive in Waltham Forest means getting used to some of the capital’s most diverse roads, from the city to the country (and everything in between). 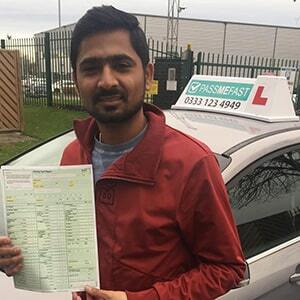 This is no mean feat—but PassMeFast’s strong track record of helping learners across the country to get their licence means that, when you book a course with us, you’re in safe hands. Read on for all the details on our courses in Waltham Forest, including Leyton, Chingford and Walthamstow. There’s a good reason why we’ve already helped to get thousands of drivers on the road for the first time: the great service we offer to everyone who books a PassMeFast course. Our nine different courses, from a minimum of five hours to a maximum of forty-eight, are tailored to help any student to learn to drive quickly, regardless of prior experience. We don’t cut corners, though—we only work with DVSA-approved instructors who’ve received good grades on their ADI check test. At PassMeFast, we understand that wanting to pass fast doesn’t mean you have all the time in the world. That’s why we’re flexible—our courses can either be taken at a fully intensive or semi-intensive pace depending on the time you have available. If, for example, you’ve got the free time to fit all of your lessons into a 5 day timeframe, then we can accommodate this. However, there’s no pressure to do so. 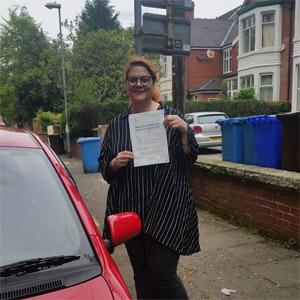 If your schedule is a bit fuller, you can spread your driving lessons out a little more, all while still beating the standard waiting times for tests. Interested in automatic driving lessons in Waltham Forest? If you’re finding the sequence of changing gears a little tough, or just can’t quite seem to master clutch control, an automatic car could be a good choice. Though not quite as easy as they’re sometimes cracked up to be—and certainly not a ticket to a guaranteed pass—automatic cars can help take some of the stress out of driving in a big city like London. With PassMeFast courses available in both manual and automatic transmission, we’ve can help you to get your licence, no matter what gearbox you prefer. Visit our prices page to compare our course fees in both manual and automatic cars. Our fast-tracking department have the chops to get you a practical test weeks or even months earlier than the appointments typically available the DVSA website. This saves you valuable time, and gives you a clear date to work towards throughout your driving course. If you’re looking for a driving school that sorts out the admin and lets you focus on driving, come to PassMeFast. Call us on 0333 123 4949 to book your course over the phone, or click the button below to book online. No matter how your driving tuition journey has gone, everyone has the same endpoint: the practical test. 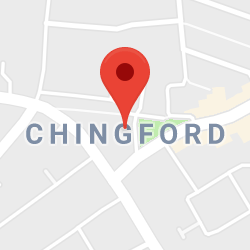 For learners in Waltham Forest, the obvious place to head is the Chingford test centre in the north of the borough. 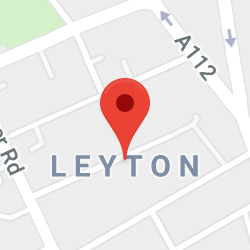 However, some candidates may find it easier to travel just outside of Waltham Forest to take their test—the Leyton area, for example, is closer to the Wanstead test centre. For some interesting stats, check out our article on the average number of attempts it takes to pass the driving test. Waltham Forest doesn’t have its own theory test centre. Passing your theory test is compulsory, so if you haven’t passed yet, you’ll need to travel a little! 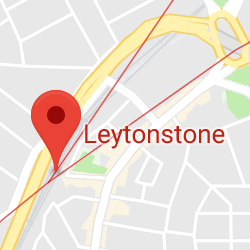 The closest test centre is in Ilford in the neighbouring borough of Redbridge. Remember that it’s incredibly important to prepare for your theory. For a fun way to test your knowledge, check out our traffic signs quiz. 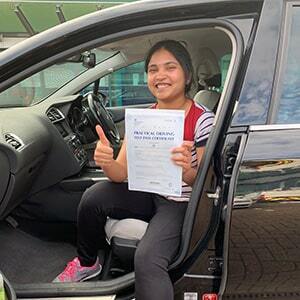 While it is possible to take lessons without having already sat your theory test, you won’t be able to book a practical test without a theory test pass. To ensure that your course runs smoothly, be sure to add a theory test onto your booking, or book a test independently. Travelling north to south through Waltham Forest, you’ll notice some dramatic shifts in scenery, from the countryside of the Essex border, past the North Circular and towards dual carriageways and urban traffic on your approach to central London. With Waltham Forest’s test centre located in Chingford, it is therefore unusual amongst London test centres in offering a mix of urban and rural roads. Getting to grips with this duality is the key to passing your test here. That’s why your instructor will take care to introduce you to the right ways to deal with a variety of scenarios and hazards, from responding appropriately at different types of pedestrian crossings through to adapting your speed on various roads. By learning how to become a confident driver here in Waltham Forest, you’ll gain skills that you can apply on any road in the UK. 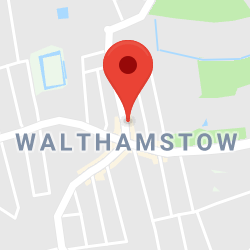 Waltham Forest forms just one part of PassMeFast’s vast coverage area, which stretches from the Irish Sea to the North Sea. To take a look at just a few of the other locations where our courses are available, follow the links below. Our team are always eager to help more budding learners to become skilled drivers. To get in touch, call us on 0333 123 4949, or click the button below to head straight to our online booking form.